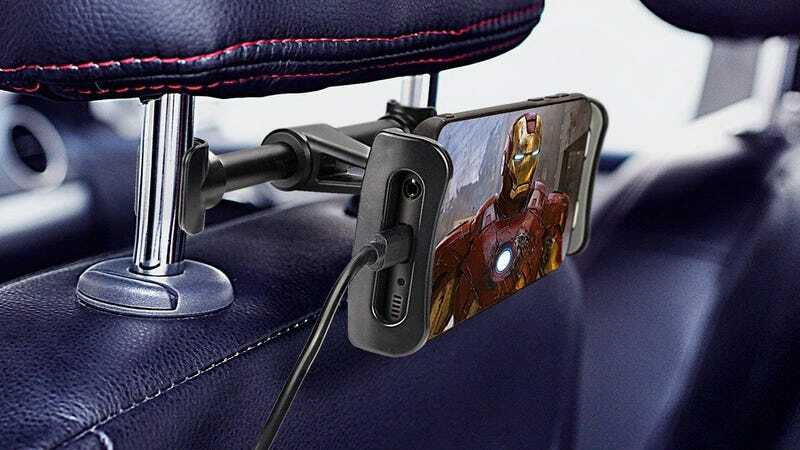 A car headrest mount for your phone, tablet, and Nintendo Switch is just as useful as a gooseneck mount, and a lot less absurd. If you have kids and a car, it’s the best $8 you’ll spend today (with promo code XYISTWNY). While Nintendo Labo looks cool, this Switch holder might just be one of the best ways you can play. The cradle expands to accommodate tablets up to 10.5", or shrinks to hold phones as small as 4.7", and the spring-loaded headrest mounts should work with just about any car.